Remove Lava Z60E FRP Without Box [Lava Z60E FRP Bypass Tool & Files] : Are you finding a best method or tool to remove Lava Z60E FRP lock? If yes then you have landed on right place. 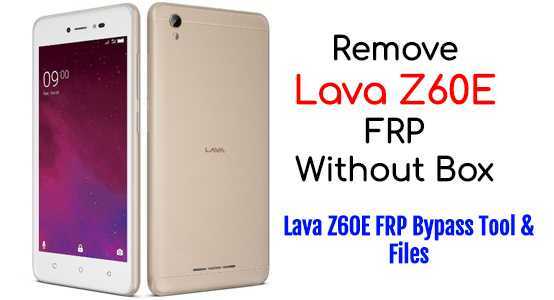 In this guide we will show you how it’s easy to remove Lava Z60E FRP without any box. That means no need to use any professional like Miracle, volcano box, uMT and MRT dongle etc. You can bypass Lava Z60E Google account verification using Sp flash tool, which is free to use for every users. Probably you may know that Lava Z60E Smartphone is a MTK MT6737M chipset based android phone and it’s firmware come with scatter loading file. Just because of it, it’s very easy to bypass Z60E0 FRP lock with Sp flash tool. Just download Lava Z60E FRP file, Lava Z60E FRP tool [Sp flash tool] and follow the below instructions as it is as shown below. 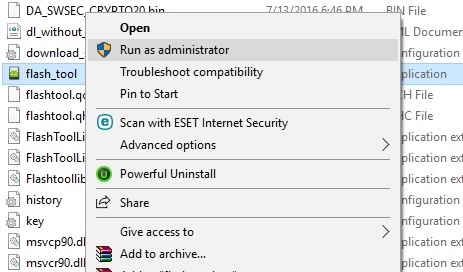 _Click on “Download Agent” button and load Da_SWSEC.bin file from Sp flash tool folder. Recheck everything and then hit on “Start” button to start FRP removing process. Come to the device, Power off it properly. Now press & hold volume up key + power key together and insert USB cable at the same time. Wit for few seconds, sp flash tool will detect your device automatically. End of the process you will see Successful message on the screen. After That If DL error comes on screen. Just flash the single file cache-sign.img from the FRP Pack.